Weak Close Ends Record Run For Stocks - What Happens Next? Stocks’ record streak without a weak close came to an end yesterday; what does it mean going forward? By any name – melt-up, relentless bid, creep, etc. 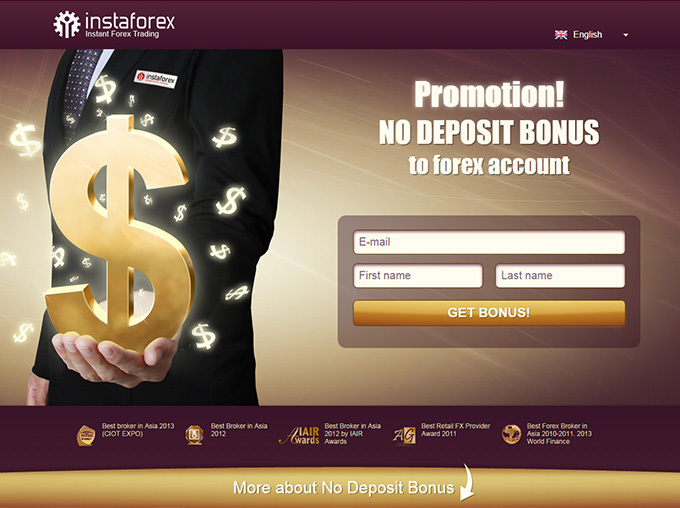 – the recent advance in the stock market has been impressive. And there is no shortage of statistical means by which to demonstrate that – in some cases, unprecedented – impressiveness. 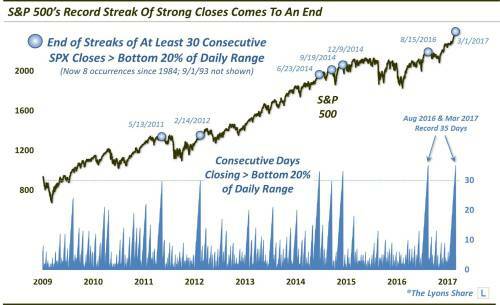 Last week, we look at the NASDAQ 100’s record streak of closes above the bottom of 40% of its daily range. Today, we look at a similar record-tying streak in the S&P 500 that came to a close yesterday. Specifically, before yesterday, the S&P 500 had gone 35 straight days without a close in the bottom 20% of its daily range. In other words, it hadn’t had a “weak” close in nearly 2 months. For context, that is a record-tying streak going back to at least 1984 (our high-low data prior is a bit spotty). So what does it tell us? If you live in the US and have a tablet, computer or smartphone connected to the internet then this may be the most important article you ever read.. Besides merely emphasizing the fact that stocks have maintained an extraordinarily persistent bid over that time, it caused us to look at other similar streaks in the past for possible instruction as to future performance – i.e., was there follow-through to the streak-ending selling pressure, or did the persistent bid quickly resume again? As such, we looked at every streak in the past 30-plus years that saw the S&P 500 close above the bottom 20% of its daily range for at least 30 days in a row. As it turns out, there were 7 prior such streaks. As you can see, the last such streak this past August was the other record-tying 35-day streak. That date, August 15, happened to mark the highest close in the S&P 500 until the midst of the post-election rally more than three months later. Such weakness has been more the norm than the exception following these streaks. 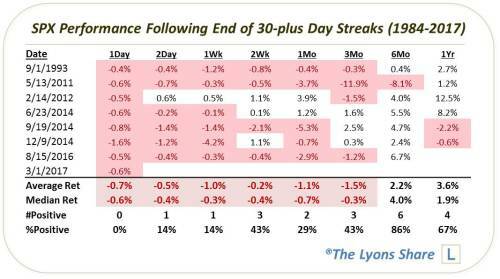 That can be seen in the following table of the S&P 500′s performance following the end of the previous 30-day streaks. Of the prior seven streaks, most showed little to no upside in the months following the streaks. And more than half of them exhibited larger than normal drawdowns in the weeks and months following the streaks. That said, in most cases, the weakness was temporary and by six months later the index had recovered considerably. We will see how the bulls respond to this first hint of adversity in a long time. Will they quickly put it behind them and move ahead like an all-star caliber baseball closer – or are they now rattled? Based on the study here, while it is admittedly a limited sample size, any potential edge we can perceive from the aftermath of similar strong-closing streaks would suggest that follow-through to yesterday’s selling pressure would be a fairly good bet. Step aside bitcoin, there is a new blockchain kid in town. In recent days, the world's second most popular digital currency, Ethereum, has been surging (despite its embarrassing hack last June when some $59 million worth of "ethers" were stolen forcing the blockchain to implement a hard fork to undo the damage), prompting many to wonder if some big announcement was imminent. It appears that yet again someone "leaked" because on Monday, an alliance of some of the world's most advanced financial and tech companies including JPMorgan Chase, Microsoft, Intel and more than two dozen other companies teamed up to develop standards and technology to make it easier for enterprises to use blockchain code Ethereum - not bitcoin - in the latest push by large firms to move toward the holy grail of a post-central bank world in which every transaction is duly tracked: a distributed ledger systems. In total, some 30 companies are set to announce on Tuesday the formation of the Enterprise Ethereum Alliance,which will create a standard version of the Ethereum software that businesses around the world can use to track data and financial contracts. This will be a huge boost to the recently sagging credibility of the technology, which suffered substantial damage during last summer's previously noted hack, when nearly half the value of Ethereum was wiped out overnight. According to Reuters, the Enterprise Ethereum Alliance (EEA) will work to "enhance the privacy, security and scalability of the Ethereum blockchain, making it better suited to business applications", according to the founding companies. Members of the 30-strong group also include Accenture Plc, Banco Santander, BP Plc, Credit Suisse Group AG, UBS Group AG, Banco Bilbao Vizcaya Argentaria, ING Groep NV, Bank of New York Mellon Corp , Thomson Reuters Corp (and startups ConsenSys and BlockApps. The fascination with ethereum, or bitcoin for that matter, is familiar to fans of the digital currencies: the EEA joins a growing list of joint initiatives by large companies aiming to take advantage of blockchain, a shared digital record of transactions that is maintained by a network of computers rather than a centralized authority, eliminating the need for a central information clearinghouse. The technology is viewed as being harder to corrupt or hack because of its reliance on many people rather than just a single authority. Companies in a wide range of industries are hoping that it can help them streamline some of their processes, such as the clearing and settling of financial securities. About 70 financial firms are involved with a R3 CEV, a New York-based startup focused on developing blockchain technology for the finance industry, while technology firms such as IBM and Hitachi are part of the Hyperledger Project, a group led by the Linux Foundation. The EEA underscores the enthusiasm around the nascent technology, but also highlights some of the hurdles that companies must still overcome before they can deploy blockchain on a large scale. This includes ensuring that the technology can support the vast number of transactions processed by large corporations, while being secure enough to meet their stringent security standards. The new Ethereum alliance has been described by some of its backers as a way to insure that the IBM-led blockchain effort is not the only option for businesses looking to use the technology. Other companies like R3 and Chain have also been developing alternative blockchains. Several banks have already adapted Ethereum to develop and test blockchain trading applications. Alex Batlin, global blockchain lead at BNY Mellon, one of the companies on the EEA board, said over the past few years banks and other enterprises have increased collaboration with the Ethereum development community, facilitating the creation of the EEA. “We are pretty equally spending our time across the different chains,” said Alex Batlin, the global head of blockchain at Bank of New York Mellon, which is joining the Ethereum alliance. Unlike some other collaborative efforts, members do not need to pay a fee to participate in the EEA, for now. Ethereum was introduced in 2013 by a developer named Vitalik Buterin, then 19, who had previously worked on Bitcoin. Since its official release in 2015, the Ethereum network has been the target of hackers and theft. Yet it has also won a large following among programmers who view it as a new and sophisticated way for groups of people and companies to initiate and track transactions and contracts of all sorts. That has led some companies to bet that Ethereum will win the race to become the standard blockchain for future business operations. “In every industry that we come across, Ethereum is usually the first platform that people go to,” said Marley Gray, the principal blockchain architect at Microsoft. Today's announcement may be just the vote of confidence Ethereum needed by major corporations to catapult it in popularity, and perhaps even overtake bitcoin which suddenly seems like "yesterday's" technology. Indeed, as theNYT adds, the creation of the Ethereum alliance shows a continuing commitment among big companies to making the technology work, in large part because it promises to create much more streamlined databases that require less back-office maintenance. It is already reflected in the price, which has soared on the news, and is up 25% over the past week. The move may be just the beginning if most corporations adopt Ethereum as the distributed ledger standard: accenture released a report last month arguing that blockchain technology could save the 10 largest banks $8 billion to $12 billion a year in infrastructure costs — or 30 percent of their total costs in that area. Accenture is one of 11 companies on the governing board of the Ethereum alliance. Because of its capacity for smart contracts — and other complicated computing capacities — Ethereum is viewed as more agile and adaptable than Bitcoin. As with Bitcoin, however, anyone can join the Ethereum network and see all the activity on the Ethereum blockchain. The companies working on the Enterprise Ethereum Alliance want to create a private version of Ethereum that can be rolled out for specific purposes and open only to certified participants. Banks could create one blockchain for themselves and shipping companies could create another for their own purposes. The purpose of the alliance is to create a standard, open-source version of Ethereum that can provide a foundation for any specific use case. 1. In Ethereum the block time is set to 14 to 15 seconds compared to Bitcoins 10 minutes. 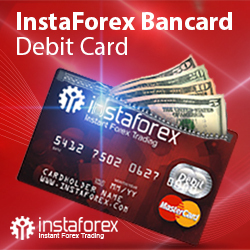 This allows for faster transaction times. Ethereum does this by using the Ghost protocol. 2. Ethereum has a slightly different economic model than Bitcoin – Bitcoin block rewards halve every 4 years whilst Ethereum releases the same amount of Ether each year ad infinitum. 3. Ethereum has a different method for costing transactions depending on their computational complexity, bandwidth use and storage needs. Bitcoin transactions compete equally with each other. This is called Gas in Ethereum and is limited per block whilst in Bitcoin, it is limited by the block size. 4. Ethereum has its own Turing complete internal code... a Turing-complete code means that given enough computing power and enough time... anything can be calculated. With Bitcoin, there is not this form of flexibility. 5. Ethereum was crowd funded whilst Bitcoin was released and early miners own most of the coins that will ever be mined. With Ethereum 50% of the coins will be owned by miners in year five. 6. Ethereum discourages centralised pool mining through its Ghost protocol rewarding stale blocks. There is no advantage to being in a pool in terms of block propagation. 7. Ethereum uses a memory hard hashing algorithm called Ethash that mitigates against the use of ASICS and encourages decentralised mining by individuals using their GPU’s. "Never gonna let you down"... 12th Record Dow Close In A Row. Small Caps were the big (squeeze) winner today...panic bid into the close as JPM noted more retail flows into ETFs sparks that manic lift. Notably, it seems the Fed Funds futures market (rate hike odds) suddenly decided to catch up to stocks? So to summarize - Hard real economic data notably disappointed and the odds of a March rate hike soared on extremely heavy volume in FF Futures, which seemed to be a positive thing for stocks but crushed PMs/Miners (but only nudged bond yields higher) - all very convenient.